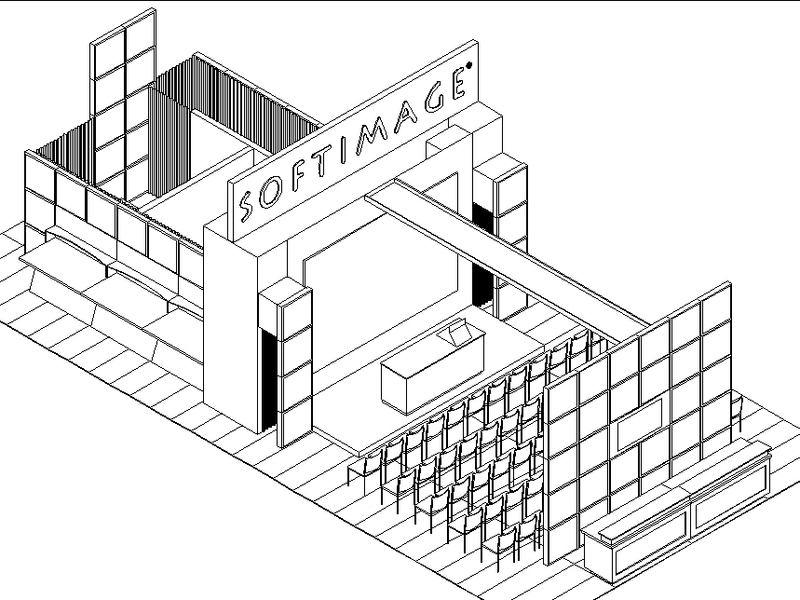 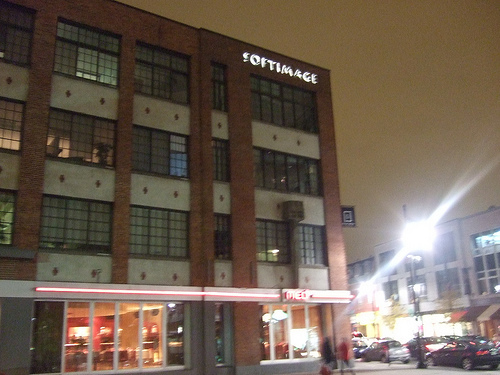 The old Reitman building eventually became the Softimage headquarters. 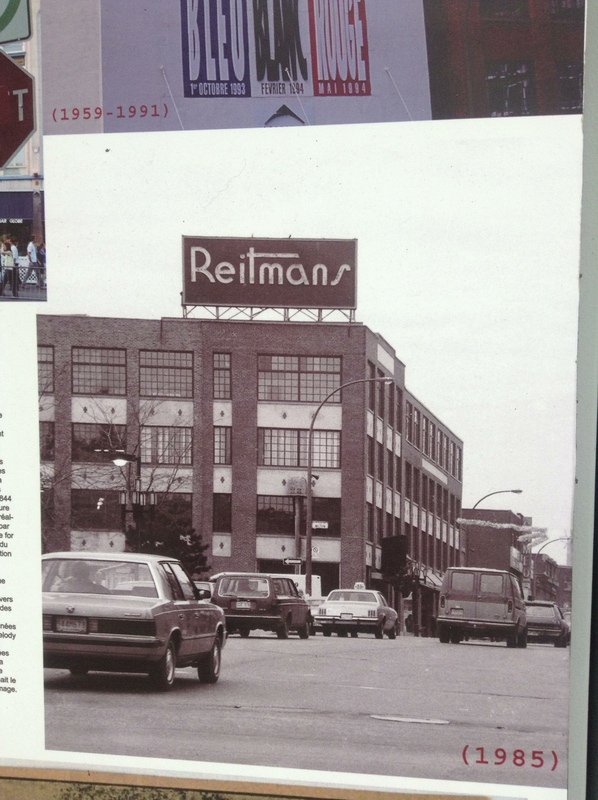 The oldest part of the building dates back to 1921 and housed different clothing manufacturers, until 1951 when it became the Reitman’s headquarters and distribution center for hats, gloves, and lingerie. 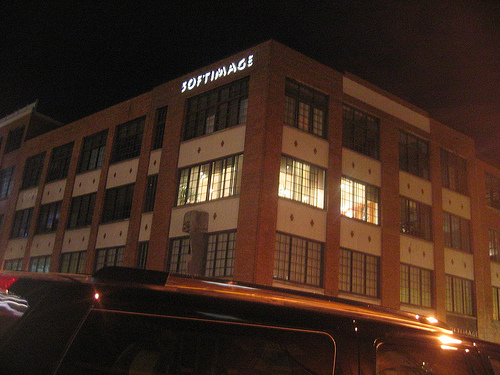 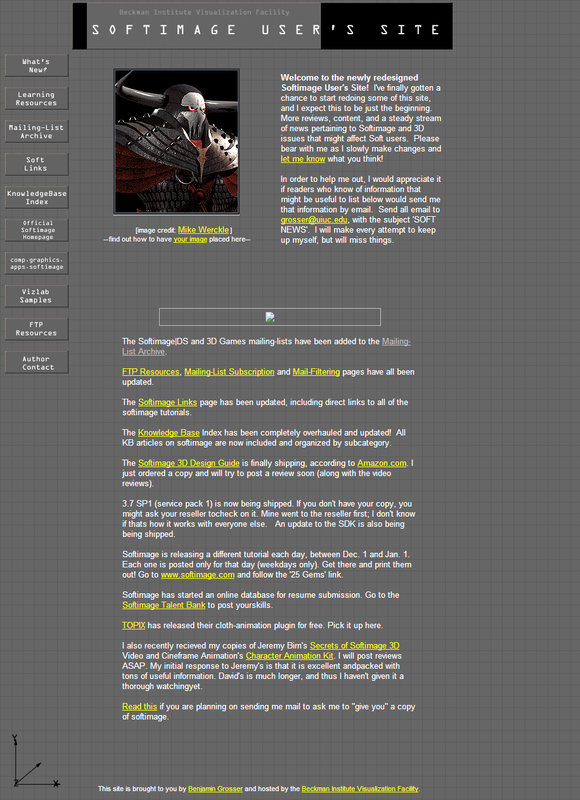 Softimage moved into the building in the mid 90s. 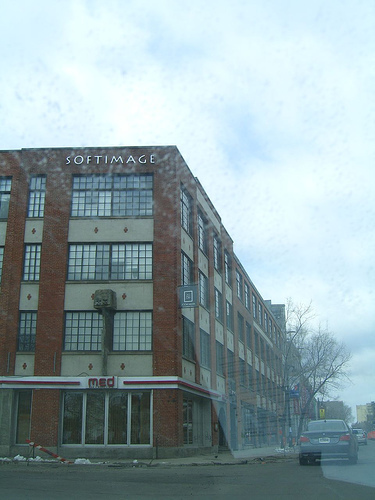 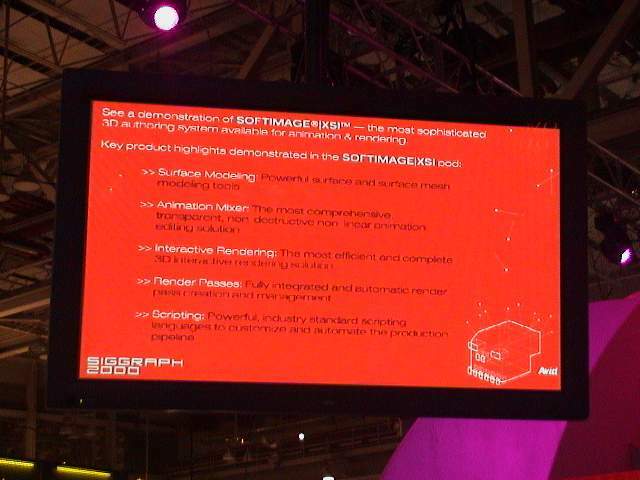 Here’s a few pictures of the Softimage building and its signage (sent to me by Sven C, thanks!). 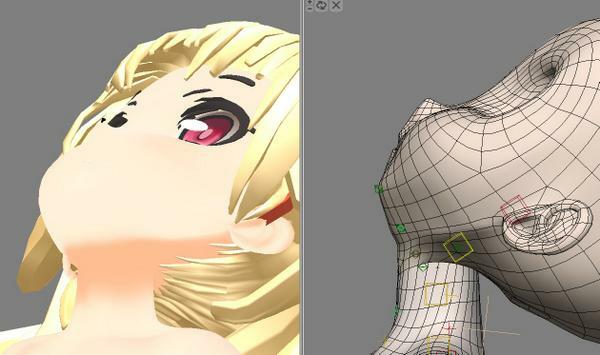 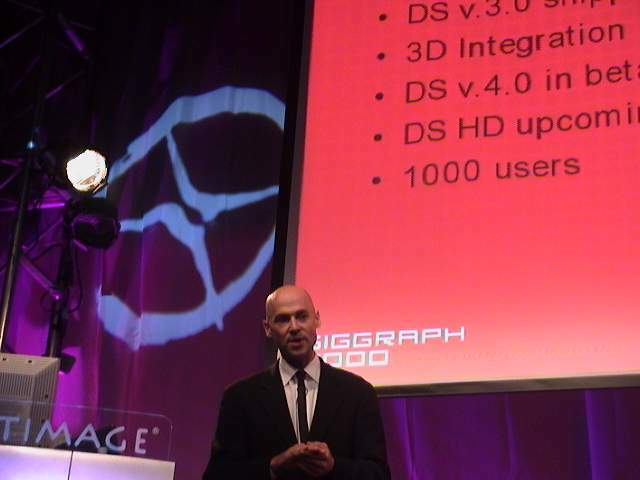 Some images from SIGGRAPH 2000 in New Orleans.